Courtesy of REALTY ONE GROUP TRILOGY, JUSTIN HANSON. 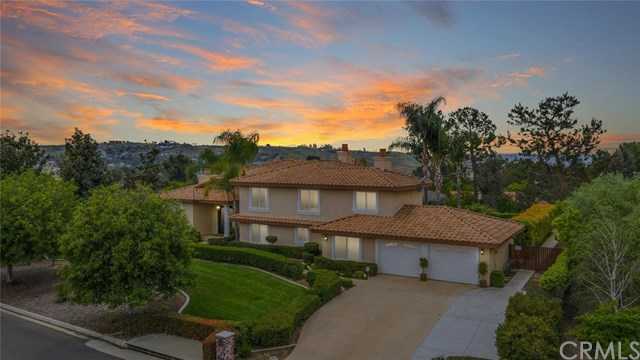 Gorgeous custom estate home in Woodcrest with amazing views! This sprawling 4,000 sq. ft. SMART home features 4 bedrooms and 4 bathrooms with extensive upgrades. The home features large open living areas with a spacious living room, family room, and upstairs loft. The home features custom doors, flooring, and moldings through out along with 3 gas fireplaces including 1 in the master bedroom, a $9,000 master closet organizing system, custom shades and drapes in the living and dining rooms, and vaulted ceilings. The kitchen is open and spacious with an island and granite counter tops. The home has wrought iron front and rear doors and it’s a SMART home meaning the sprinklers, security system (with cameras, speakers, and microphones around the home) and both thermostat zones are Nest controlled online. The home has a large master bedroom and master suite that opens to a private balcony with beautiful mountain views, master bathroom features a jacuzzi tub and walk-in closet. The large one acre lot is split into 3 portions featuring RV parking, pool and hot tub with Palapa, an orchard of fruit trees, concrete walls and gating around 3/4 of the property and the potential for a separate gated entrance to the back of the property. Home has been a profitable vacation rental thru HomeAway/VRBO in the past, and has verifiable rental income for review. The home is situated in a very tranquil and private neighborhood and is close to shopping, schools, activities, services, and freeways. Please, send me more information on this property: MLS# EV19083859 – $799,900 – 16072 Krameria Avenue, Riverside, CA 92504. I would like to schedule a private showing for this property: MLS# EV19083859 – $799,900 – 16072 Krameria Avenue, Riverside, CA 92504.